If you took our month-long, Formlabs-sponsored Beginner Design for 3D Printing course in March, it’s likely that you remember 3D printing educator Poppy Lyttle, the educational advisor for 3DPrint.com’s design courses. The session she taught was called “3D Printing Engineering Principles in Fusion 360,” and she started off by answering questions about Tinkercad, and then moving into a demo of Fusion 360. At the end, she focused on designing assemblies in order to print more complex models, and held an extended Q&A session with the session participants. Lyttle, who lives in Brooklyn, is also the program advisor for the summer courses for Edmaker – she chose the speakers, built out the homework assignments, and taught a session in the spring course. You can also see some of her unique designs on Thingiverse. While Lyttle’s most current focus has been on 3D printing education, one quick look at her LinkedIn profile, which lists her as a “Designer and consultant with a passion for innovative ideas that take new tools to the next level,” and you’ll see she has experience in a myriad of fields. She has a BA in Environmental Design from Sarah Lawrence College (where she also worked in the theatre scene shop), took a summer intensive and completed a capstone design project at The New School – Parsons School of Design, worked as an urban park ranger, interned at Marvel Entertainment (!!! ), and traveled to countries like Tanzania and New Zealand to learn what it’s like to live outside with small minority communities during her time with IHP Rethinking Globalization. She’s also an amazing artist (check out her Etsy shop! ), a graphic designer, and from 2013 until this past February, was the Education Specialist at MakerBot. I see from your LinkedIn account you’ve had quite a wealth of different educational and professional experiences – including an editorial intern at Marvel Entertainment (which I want to hear ALL about, including if you ever got to meet Stan Lee! ), graphic design, and the education specialist at MakerBot. How did you get interested in 3D printing technology? What first drew you to working for MakerBot? It’s clear that you are passionate about DIY. What do you enjoy about making? 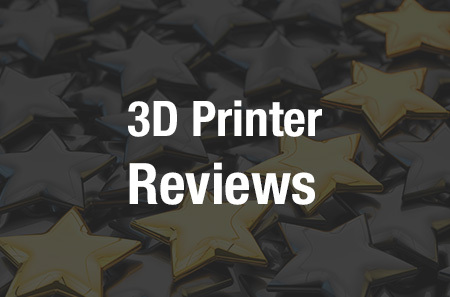 Do you have a favorite 3D printer to work with? How about a favorite software program? In putting together a class on 3D printing, what is the most important lesson you want people to learn? What are your thoughts about and experiences with diversity in the tech industry? What changes, if any, have you observed over the last few years in tech, in terms of diversity in the field? What do you see as the biggest challenges to diversity in tech fields? Do you have any advice for girls considering the study of STEAM areas in school? What about advice for women interested in working in the tech field? How do you think schools can better engage girls in STEAM subjects and activities? What do you see as being key to growth in the 3D printing industry as it matures? Do you mind telling me about your plans for the future? Lyttle is obviously a passionate maker, with an equal passion for getting girls interested in tech at a young age. It’s been said that you should write what you know, and this can obviously also be applied to teaching. With the many different experiences she’s already had, and a wide-open future, I’d take any class that Lyttle teaches. Share your thoughts in the Poppy Lyttle forum at 3DPB.com.